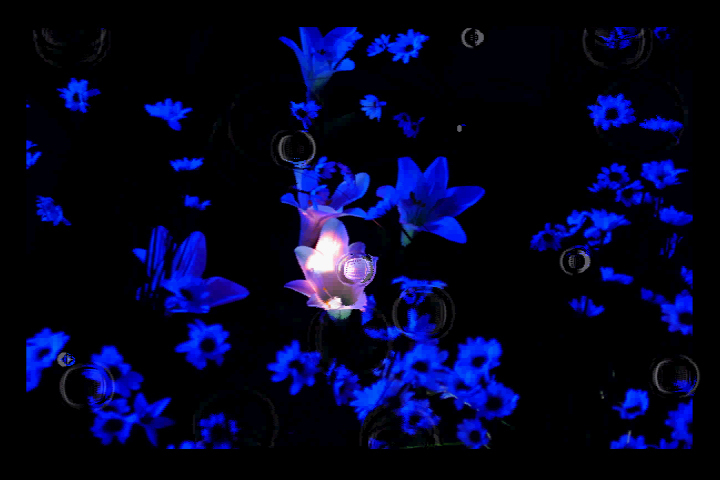 Time Garden is a subtly animated photograph, a detail from a previous video installation made by the artist. Drops of water are disturbing the surface, thus prolonging the existence of a moment in the past. The same instant re-arranged, recycled, expresses a hypothesis of a parallel time in which serenity echoes and soothes us.